Caitlin grew up In Summerville, South Carolina where her love of the outdoors began with of time spent at the beach and learning about the marine life. Caitlin is a recent graduate from Queen’s University in Kingston, Ontario where she received a degree in Biology with a minor in Health Studies. 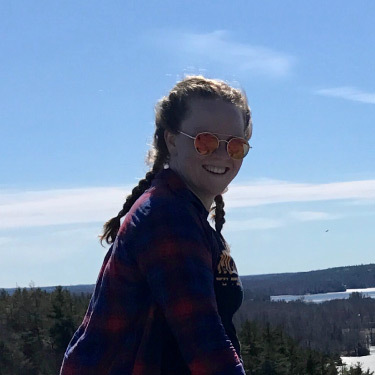 Being outdoors and active has always been a large part of her life and it was further developed byt visits to her family cottage, canoe trips and hikes.